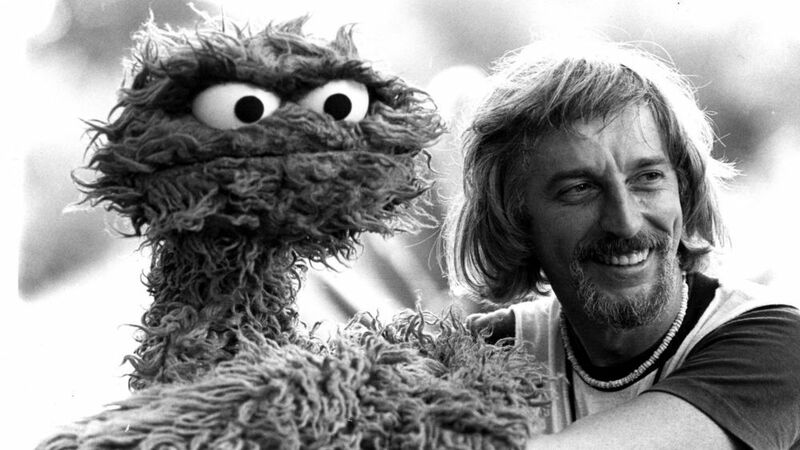 Impressive facts about Caroll Spinney accumulate rather quickly. 95% of all Americans have seen him perform before they reach the age of three. He’s sung on dozens of albums. Five countries have featured him on postage stamps. In 1970 he appeared on the cover of TIME Magazine, while in 2012 he played an unlikely role in crystallising the U.S. presidential election. He’s been a regular television presence in over 160 countries for nearly half a century. He’s an 8′ 2” bird, a grouch who lives in a trash can, and the puppeteer star of America’s longest-running children’s programme, Sesame Street. In addition to all this, Caroll is also the subject of a new documentary on his life: I Am Big Bird. Ahead of its release this week we spoke to the veteran puppeteer about the film, his long career and working with Mr. Snuffleupagus. How did I Am Big Bird come about? The film-makers Dave LaMattina and Chad Walker had already produced one other documentary and were deciding what to do next. 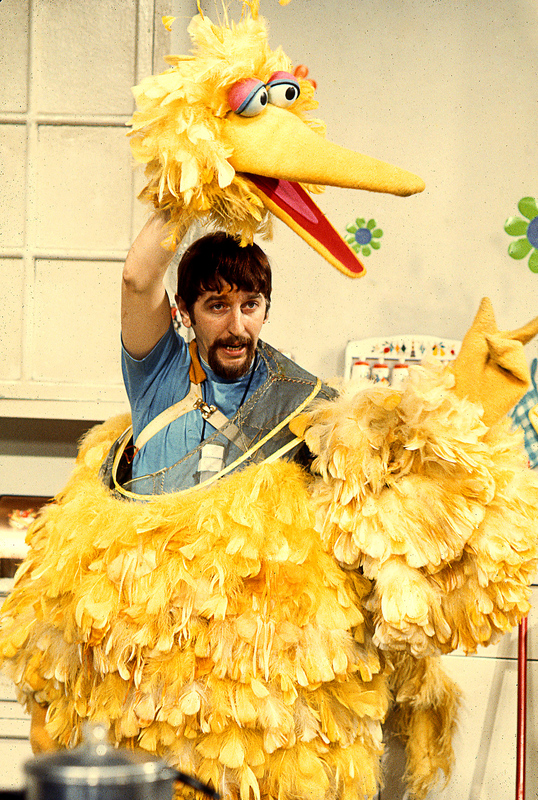 Somebody suggested Caroll Spinney, and they said who’s that? Eventually they approached Sesame Street, who said it was a good idea. I drove down to New York with my wife and chatted with them. We thought they were nice guys and told them to go ahead. A lot of people ask why now. Well, since I’m 81 I don’t know if I’ll be around when I’m 91. It’s a lovely tribute, because I’m starting my 46th year of making Sesame Street. How does it feel to watch a documentary about yourself? It’s been really nice because we’ve been to film festivals and have seen lots of people enjoying the film. We’ve been enjoying their comments. It’s a nostalgic job I have. When you’re a child there are all kinds of strains – I think it’s easier to be a grown-up. So the film reminds them of how much Big Bird and Oscar the Grouch meant to them at that age. It’s talking about the past but then I still have the job, so for me one of the joys of the film is that it ends with me still working and doing these characters. What do you think is the appeal of Big Bird? Out of all of the Sesame Street Muppets he was the first to break out, and is still the heart of the show. I decided about two months in that he should be a child. For the first few months he was just a goofy guy, a real yokel. He’d become fairly popular just as a novelty, but when I made him a kid he suddenly embodied something that a lot of children could identify with: the struggle to be a child in an adult world. I love the letters that I get from children. One of them said: “Big Bird you’re my best friend, please come and play with me. How about next Thursday?” I’ve always liked doing something that children could relate to even though I was in my 30s, or now in my 80s. Big Bird is still 6 years old, of course. He never really changes all that much. Oscar is very satisfying too because I wasn’t cool at school. I was pushed around, and nobody pushes Oscar around. What’s Sesame Street like as a place to work? It’s a world that seems almost real when you go in. It’s quite dramatic for people to walk into the studio. It looks very much like a real street, except for all the lights coming down instead of sky. I remember one time a child was on the set watching us perform and he asked “Where’s the real Sesame Street? 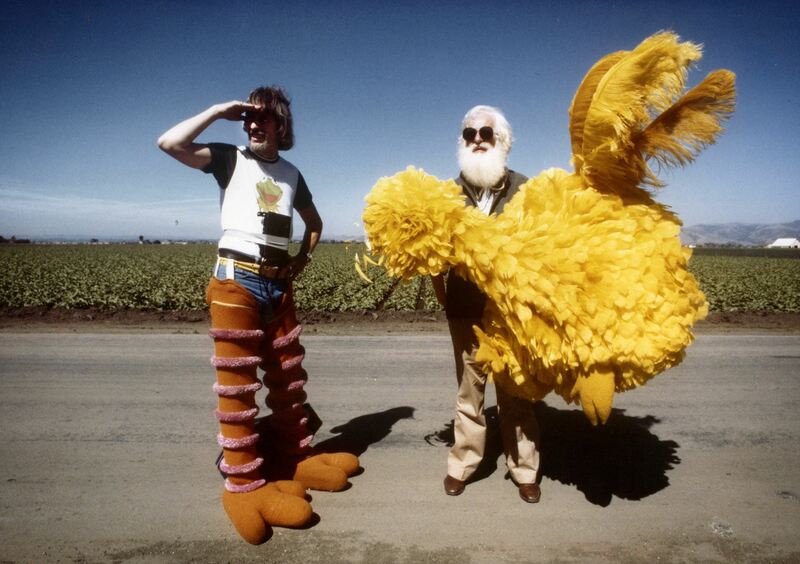 Where’s the real Big Bird?” He thought that we were just grown-ups pretending to be the actual characters. You’ve been Big Bird and Oscar since the very start of the programme. Will storylines ever remind you of things that happened to them decades earlier? Do you have any personal highlights from those thousands of hours, or do you prefer to look forward instead? There are a few that stand out in my mind because they were so emotional. One was the story where everyone thought Big Bird’s friend Snuffleupagus wasn’t real. I remember a scene way back in the 70s where Gordon told Big Bird he was tired of hearing stories about his imaginary friend. 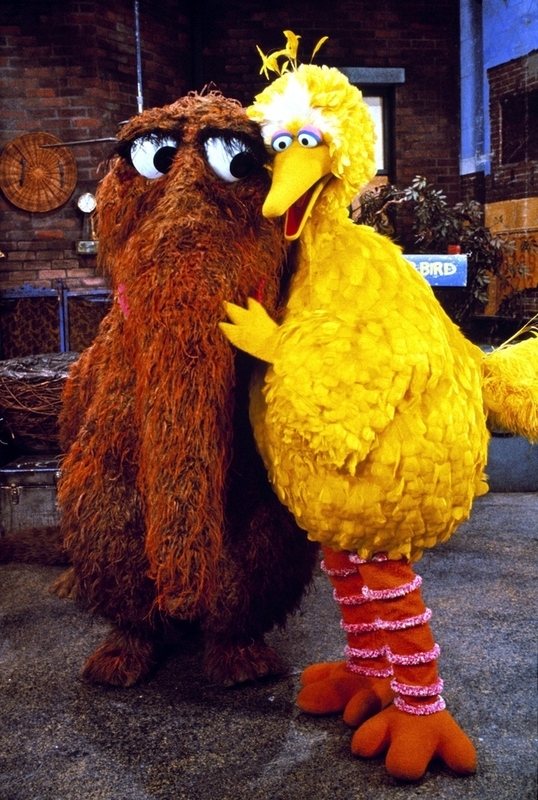 “There is no such thing as a Snuffleupagus, so forget about it!” Snuffy comes shuffling along and a dejected Big Bird tells him they can’t be friends: “You’re imaginary and I can’t be your friend any more” “I’m imaginary?” Snuffy asks for a hug to say goodbye and starts crying, and because Big Bird can feel the tears he realises that Snuffy is real and they can be friends forever. I remember doing that and being so moved. You get into the real feelings of the characters. I felt the sadness that Big Bird had. When we got out of our outfits, our faces were completely wet with tears. They were tears of joy because Big Bird and Snuffy had realised they could still be friends. That was one of the memories that stands out, but there are so many others that were just so sweet. Life on Sesame Street… it’s so nice and wonderful. I love the job I have and that’s why I don’t want to leave. To still bring these characters to life is just too much fun.